Islamic banking has emerged as one of the most rapidly expanding sectors of the global financial industry, with expectations that it will play a growing role in the years to come. “I believe Islamic banks stand to gain more ground in future, thanks to the confidence they have come to enjoy during the financial crisis,” Jordanian economist Jawad Anani told the German Press Agency dpa. “The successful performance of Islamic banks during the world crisis enabled them to attract funds from foreign conventional banks, which hurried to open windows for Islamic finance and bonds,” said Anani, who runs an economic consultancy bureau in Amman. “The Islamic financial system has proved to be the least affected by the fallout of the global crisis, thanks to its strict management of financial instruments, its focus on financing real operations and keeping away from speculation,” Kholoud Saqqaf, deputy governor of the Central Bank of Jordan said in early December during a conference in Jordan to assess the success of the Islamic financial system. According to a recent study by the International Monetary Fund (IMF), Islamic banks “contributed to financial and economic stability during the crisis, given that their credit and asset growth was at least twice as high as that of conventional banks”. “I believe one of the challenges facing Islamic banks is innovating methods for developing the management of risks that face the application of Islamic law to the financial industry,” Anani said. “If Islamic banks fail to develop such mechanisms, I think they will continue to attract deposits but will be unable to lure clients and investments, particularly when global interest rates go up with an economic upturn,” he added. Anani, a previous cabinet minister and economic advisor to the Jordanian government, detected another shortcoming for the Islamic financial industry – a failure by Islamic banks to improve understanding with central banks regarding certain issues. “A problem still exists with the insistence of central banks to treat Islamic banks as ordinary commercial banks that should abide by their monetary policy rules,” he said. The first Islamic bond issue out of France could happen early next year, the chief executive of the French Deposits Guarantee Fund said on Wednesday. Thierry Dissaux, also a former special adviser for financial affairs at the French Treasury, said at a conference in Dubai: "At the beginning of 2011 we could see the first sukuk under French law." Dissaux said guidelines for certain financing structures including sukuk, ijara and murabaha were approved in August by the tax regulators. Approvals for other structures, such as the investment agency, wakala, and limited partnerships known as mudaraba should be passed in the coming weeks, Dissaux added. 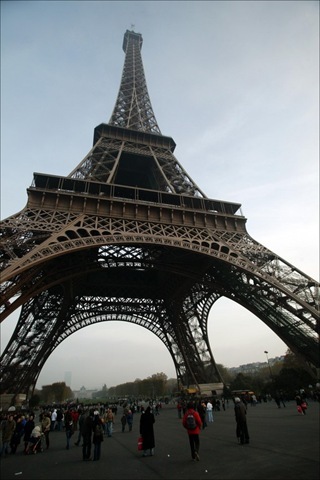 He said once the legal framework was approved, it would open the door for corporates to issue sukuk in France. Declining to be more specific, Dissaux said: "These issuers could be corporations already active here in the GCC." Dissaux said sharia scholars at the Accounting and Auditing Organisation for Islamic Financial Institutions (AAOIFI), the industry’s regulatory body, had approved the French sukuk issuance model in November, with minor adjustments. France and Britain are keen to take a lead on sukuk issuance in Europe, although appetite on the continent has been dampened in the wake of wranglings over debt in Dubai. Dissaux said while Britain had been far ahead, the gap had closed in recent months. 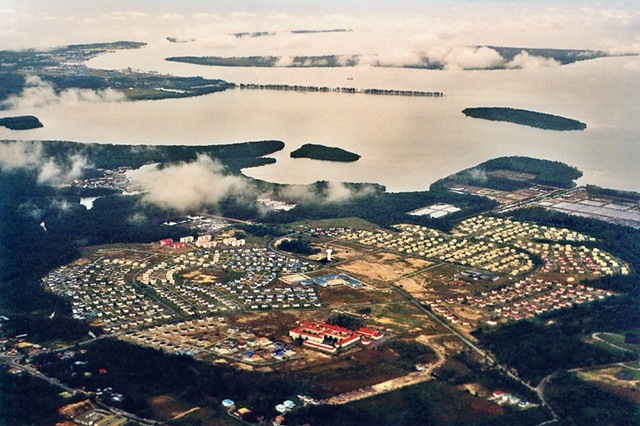 Brunei’s involvement in Islamic finance came about by way of the establishment of Tabung Amanah Islam in 1991. Tabung Amanah, the country’s first Islamic trust fund, was established to help local Muslims undertake their holy pilgrimage. Not long after, it was followed by the county’s first Islamic bank, the Islamic Bank of Brunei (IBB). Currently, Bank Islam Brunei Darussalam (BIBD), a merger between IBB and the Islamic Development Bank of Brunei, is the largest and only Islamic banking provider in Brunei with assets totaling BND4.98 billion (US$3.81 billion). 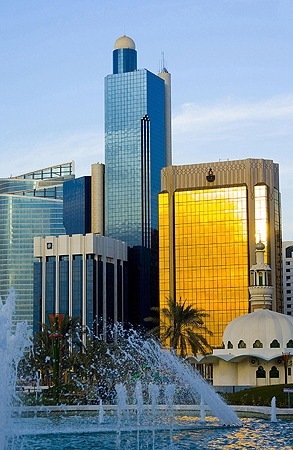 Despite a large Muslim majority, (about 67% of the population), this oil-rich nation did not see much development in the area of Islamic finance until 2006 when the ministry of finance launched the Banking Order and Insurance Order, established the Brunei International Financial Centre, launched its first Sukuk and introduced the Shariah Financial Supervisory Board on a national level. This was seen as a much needed boost to open the Islamic banking industry in Brunei for its locally based companies and for foreign Islamic banks to plant their operations in the country. For the Takaful industry, the Takaful Order 2008 provided regulation to the industry that helped create a level playing field with the conventional insurance companies. Similarly, tax incentives play an important role in creating a level playing field for Brunei’s Islamic finance industry. Previously, the taxation imposed on Islamic banking was similar to its conventional peer. This caused Islamic financial institutions to once be subjected to a 30% corporate tax and an additional 2.5% zakat contribution. According to Sri Anne Masri of ETHICA Consultants, the tax incentive now allows Islamic financial institutions (IFIs) in the country to deduct the 2.5% zakat contribution from the required 30% corporate tax while receiving an exemption from stamp duty as well. Javed Ahmad, BIBD’s acting managing director, said that there were concerted efforts by the government to make Islamic banking attractive in Brunei. Brunei does not have a central bank and as such, all formulation of policies and supervision of financial services are regulated by the ministry of finance. The country’s Shariah Financial Supervisory Board approves all Islamic financial products and services offered at national level. The bulk of the Islamic banking assets are from the institutional sector, which in turn derives its assets from the retail market. Financial institutions in the Sultanate are known for their excess liquidity. According to Sri Anne, statistics provided by the ministry of finance’s financial institutions division (FID) revealed that the loan-to-deposits ratio (LDR) has been quite low compared to that of international standards. “At the moment the IFIs in Brunei are still in the developmental stage of growing their investment banking sector. Hopefully, infrastructure development projects in Brunei will assist in the growth of the investment sector as it calls for an active participation locally and regionally. This is a growing challenge for IFIs as Brunei is a small player in the international arena,” she said. On the surface, there seems to be a lack of innovative products being offered in Brunei’s Islamic finance industry. Javed explained that product development was determined by market demand. On a retail level, the market demand of Brunei differed from many others in the region because there is no personal income tax or capital gains tax. He believes product innovation takes place as a result of tax requirement. At the corporate level, he said the bulk of companies – mainly oil and gas – did not generally borrow, resulting in very little requirement for debt capital. “So it is not that we are complacent but it depends entirely on customers’ needs. They have not been very demanding due to the no-income tax regime, while large industries are very high cash generators; and should the need for expansion arise, it would normally be obtained through internally generated funds,” he said. However, he explained, as privatization of public sector services such as telecommunication, electricity and water in Brunei occur, so too will the opportunities of borrowings from banks. On the other hand, Sri Anne offers an alternative insight on what she terms as “the uniqueness” of the financial scene in the country. She explained that the government is focused on developing and shaping its society into the culture of saving and being debt-free, a truly Islamic concept. Among the government’s initiatives is the reduction of consumer lending by 30% and the curb on credit card spending. Sri Anne believes that before innovative products — retail or institutional — can be introduced, Bruneians have to be educated on how to save and invest wisely while Islamic banks would have to deliver products that are truly Islamic. She feels that these symbiotic elements need to exist to make Islamic finance successful and meaningful. “I believe Brunei cannot compete with the likes of Malaysia or Singapore as an Islamic financial center. However, Brunei can create its own unique brand for its own people (market) then export the model to other Islamic centers globally,” she said. Sukuk in Brunei continues to be dominated by sovereign issuances, with the first coming in 2006 based on the Ijarah concept. To date, there has been only one corporate Sukuk issuance, Brunei LNG’s BND100 million (US$71.7 million) Ijarah issue. According to Sri Anne, Sukuk issuance has been solely driven by the government to lower excess liquidity in the market although there are no regulatory restrictions on corporate Sukuk issuance. “Maybe in the near future, with the upcoming infrastructure and development of Brunei and a good understanding of the process from corporate players for alternative financing, increased market players and participation from other than the few financial institutions, I am sure there are endless possibilities given the right ingredients,” she said. He added that despite having several opportunities come its way, there was nothing, the bank felt, worth venturing into. Javed said the criterion for expansion was having investments that would be independently managed due to BIBD’s lack of management capacity. According to Brunei’s ministry of finance, Islamic banking assets in 2009 stood at about BND6.3 billion (US$4.81 billion), or 40% of the total banking sector growth in Brunei. This percentage, which rose from 33.9% in 2008, is expected to grow to 55%–60% over the next three to five years. If positive statistics are of any indication to the sign of the times, then Brunei Darussalam is slowly but surely setting the stage for exponential growth in Islamic finance. Universities are expanding Islamic finance courses as demand for professionals qualified in Shariah law outstrips supply in the $1 trillion industry. The International Islamic University of Malaysia plans to start postgraduate courses specializing in Shariah-compliant capital markets, banking and insurance after enrollment for its general program in finance complying with Muslim tenets tripled in the past year, said Professor Mohd Azmi Omar, the dean of the institute. La Trobe University in Melbourne, which started classes this year, is working with officials in Malaysia to offer industry-recognized qualifications. A lack of skills is among the biggest challenges for the expansion of global Islamic banking, said Washington-based Patrick Imam, an economist at the International Monetary Fund. About 50,000 professionals will be needed over the next five to seven years to meet demand, according to Ishaq Bhatti, the director of La Trobe’s Islamic banking and finance program. The Islamic finance industry, with assets the Kuala Lumpur- based Islamic Financial Services Board estimates will climb to $1.6 trillion by 2012, is developing global standards to improve regulations. The Manama, Bahrain-based Accounting & Auditing Organization for Islamic Financial Institutions said a shortage of scholars increases the risk of conflicts of interest as many sit on various advisory boards. Sheikh Nizam Yaquby of Bahrain and Syria’s Abdul Sattar Abu Ghuddah, who each serve on 85 boards of Islamic financial institutions, ranked first among the top 20 religious experts in an October report from Zawya, an online Middle East business news and directory, and Funds@Work AG, a Kronberg, Germany-based consulting company. 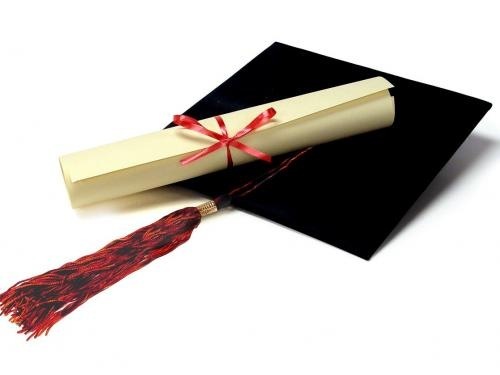 Experts are preparing the first standardized certification for scholars. A permanent committee is due to be selected by year-end to work on setting up a body to issue permits for those qualified to sit on Shariah boards, Aznan Hasan, the president of the oversight committee, said in an Aug. 30 interview in Kuala Lumpur. Thailand, Senegal and Sudan are among countries seeking to tap the wealth of the world’s 1.6 billion Muslims by selling Islamic bonds, which are vetted by scholars for compliance with Shariah law. Global sales of sukuk, which pay returns based on asset flows to comply with the religion’s ban on interest, fell 28 percent this year to $14.5 billion from the same period in 2009, according to data compiled by Bloomberg. Issuance reached a record $31 billion in 2007. Shariah-compliant bonds returned 12 percent in 2010, the HSBC/NASDAQ Dubai US Dollar Sukuk Index shows, while debt in emerging markets gained 13 percent, according to JPMorgan Chase & Co.’s EMBI Global Diversified Index. The difference between the average yield for sukuk in developing nations and the London interbank offered rate has narrowed 160 basis points, or 1.6 percentage point, to 308 this year, according to the HSBC/NASDAQ Dubai US Dollar Sukuk Index. The yield on Malaysia’s 3.928 percent sukuk maturing in June 2015 was little changed today at 3.06 percent, according to prices from the Royal Bank of Scotland Group. The extra yield investors demand to hold Dubai’s government sukuk rather than Malaysia’s was also little changed at 342, data compiled by Bloomberg show. The U.K.’s Durham University, Al-Azhar University in Cairo and Ethica Institute of Islamic Finance in Dubai also offer Islamic finance courses. Harvard University in Cambridge, Massachusetts, runs an Islamic legal studies program through its law school, according to data on its website. Schools and colleges are facing a shortage of teaching staff for Islamic finance courses as demand increases, said Professor Rodney Wilson, a lecturer at the Centre for Middle East and Islamic Studies at Durham University. “We need to appoint more staff” as Durham only has four lecturers for the classes, Wilson, who is based in London, said in an e-mailed response to questions yesterday. La Trobe University is working with Malaysia’s Kuala Lumpur-based International Centre for Education in Islamic Finance to gain approval to provide the Chartered Islamic Finance Professionals certification, said Bhatti. The Institute of Islamic Banking and Finance at the IIUM will start a Masters in Islamic capital markets in September 2011 in conjunction with the Malaysian Securities Commission, the institute’s dean said in an interview on Dec. 6. “We have bankers, lawyers and fresh graduates attending our classes,” said Mohd Azmi, who also teaches Islamic capital markets at Trisakti University in Jakarta, Indonesia. The Indian Centre for Islamic Finance (ICIF) has made out a strong case before Prime Minister’s Economic Advisory Council member V. S. Vyas for introducing interest-free banking in the country at the earliest to ensure “inclusive growth with innovation” in accordance with the recommendations of the Planning Commission’s Raghuram Rajan Committee. An ICIF delegation from New Delhi, led by its general secretary H. Abdur Raqeeb, met Prof. Vyas at Yojana Bhavan here over the weekend to impress upon him the need for creating a framework to provide benefits of banking products and services to the marginalised sections of society, when “serious questions” were being raised about the utility of the micro-finance model. Prof. Vyas, who is also deputy chairperson of the Rajasthan Planning Board, had observed at a dialogue on “Ethical issues in planning and management” here recently that Islamic economic principles for equitable distribution of wealth to the poor and the needy could provide answers to some of the challenges of modern economy. Spurred by Prof. Vyas’ remarks that the Islamic financial system could be further explored, the ICIF delegation made a detailed presentation before him while suggesting introduction of a pilot project with the public, private and foreign banks operating in India to open an “interest-free Islamic banking window” within the existing Indian banking regulations in Mumbai for one year before deciding the future course of action. Mr. Abdur Raqeeb pointed out that certain faiths, including Islam, prohibit use of interest-based financial instruments and perceive them as promoting usury and exploitation. Since a large number of people belonging to these communities are in the economically disadvantaged strata of society, they are unable to access banking products and benefit from the country’s economic growth. A high-level committee on financial sector reforms under Dr. Raghuram Rajan appointed by the Planning Commission in 2008 had stated that the delivery of interest-free finance on a larger scale, including through banking system, would be “in consonance with the objectives of inclusion and growth through innovation”. Prior to this, the Reserve Bank of India constituted a working group in 2006 to examine the instruments used in Islamic banking. Mr. Abdur Raqeeb told The Hindu here that he had requested Prof. Vyas to prevail upon Prime Minister Manmohan Singh, Union Finance Ministry and RBI to accept the high-level committee’s recommendations in the wake of setbacks in the micro-finance institutions as well as the RBI’s recent efforts for funding new rural branches through a pilot project in the north-east region receiving a “serious jolt”. Significantly, the Prime Minister had recently asked the RBI to look into the Malaysian model of Islamic banking during his visit to Kuala Lumpur. Dr. Singh had observed that he would recommend to the RBI to look at “what is happening in Malaysia in this regard” while referring to the demands for experimenting with interest-free banking. The ICIF delegation presented to Prof. Vyas some documents on the “financial tsunami of 2008” and the Islamic perspective of why it happened as well as the remedies. Mr. Abdur Raqeeb said the Islamic finance instruments had the potential to provide satisfactory services to the daily wage earners, farmers and below poverty line families. “Islamic finance can cater to the needs of the growing population in the cities and come up with innovative products in the sectors such as insurance, mutual fund, capital market, trading loans, real estate and small infrastructure development projects,” said the ICIF general secretary, adding that huge investment flows from Muslim countries in Middle East and East Asia were waiting for the Islamic banking doors to be opened in India. While emphasising that financial exclusion of large segments of population was adversely affecting socio-economic and educational uplift of the masses, Mr. Abdur Raqeeb called upon Prof. Vyas to join the efforts for providing a level playing field to interest-free banking along with the conventional banking model. 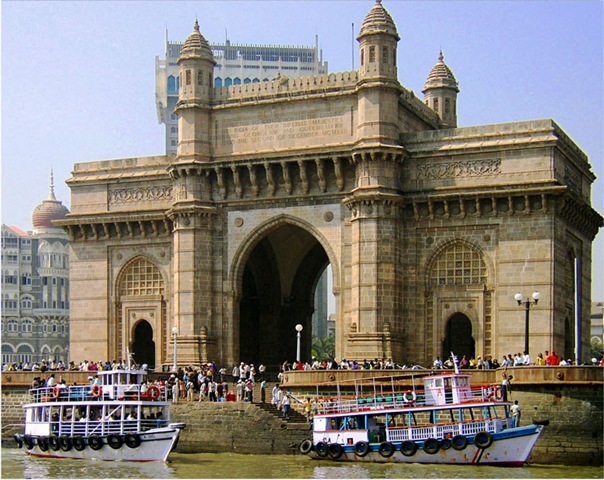 The ICIF also requested Prof. Vyasto look into the Maharashtra Government’s recent pact with Bahrain-based Gulf Finance House, which will be investing 10 billion U.S. dollars over the next seven years for setting up an integrated economic development zone near Mumbai. A similar venture in Rajasthan would immensely benefit the people of the State. A reference to the Kerala Government’s initiative for establishing an Islamic finance model, which has since been challenged by Janata Party leader Subramaniam Swamy in the High Court, was also made at the meeting. The Kerala Government is reportedly looking at Islamic bonds as another form of venture capital to build airports, introduce high-speed trains and develop expressways in future. Following the success of the World Islamic Banking Conference (WIBC) in Bahrain, the UK has been praised as the leading Western centre for Islamic finance and one of the world’s most attractive destinations for Islamic banks. The conference, supported by UK Trade & Investment (UKTI), included an expert panel from the UK, which led debates on the future of the sector, both in the UK and around the world. This panel included three members of the UK Islamic Finance Secretariat, as well as representatives of leading advisory firms. They spoke to a large audience of Islamic wholesale and retail bankers from across the Gulf region and beyond, as well as advisors and other professional service providers specialising in Islamic Finance. The panel looked at the pitfalls and opportunities for Islamic finance in light of the global economic downturn and opportunities for growth in the sector, with some estimates putting its value at over US$4 trillion in the coming years. 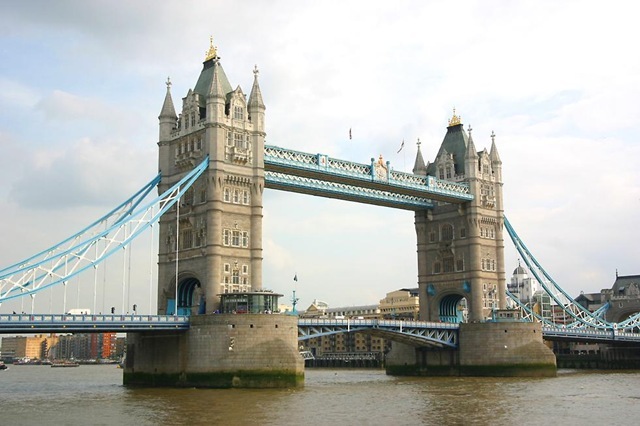 "Small corporates looking at sukuk issuance are favouring UK law – it’s a safe pair of hands. We have recently been asked to look at several issuances particular for this reason and also due to the experience we have in the UK working with international institutions," said Kazi Rahman, Lawyer, Wragge & Co.
Richard Thomas, CEO, Gatehouse bank said, "The UK is the number one centre for co-operation with other Islamic finance centres such as Bahrain and Malaysia." "There is a great opportunity for investment and commercial banks to raise awareness of an alternative source of finance," said Sultan Choudhury, Director at the Islamic Bank of Britain. The Panel challenged the audience to learn from UK experiences and implement changes within their own institutions. The UK, and especially London, has been working to move the Islamic Finance sector from niche to mainstream over the last decade, with wide expertise and a financial infrastructure that is uniquely placed to support Islamic banking. In the UK there are 18 major law firms providing legal services in Islamic Finance; Five stand-alone Sharia-compliant banks; Providers of education in Sharia compliant finance; Five of the largest national professional services firms with Islamic Finance teams based in London providing Sharia-complaint services. The WIBC has been running for 17 years, and is the world’s largest and most influential gathering of Islamic finance industry leaders. This year there were over 1,200 international delegates from more than 50 countries. Islamic bonds in the Persian Gulf are returning six times more this quarter than in the previous three months as Dubai-based companies restructure debt and economic growth in the region accelerates. Sukuk sold by the six-country Gulf Cooperation Council have returned 2.9 percent since June 30, compared with a 0.5 percent gain in the second quarter, according to the HSBC/NASDAQ Dubai GCC US Dollar Sukuk Index. The average yield on the debt narrowed 83 basis points, or 0.83 percentage point, in the past six weeks to 6.65 percent and reached an eight-month low of 6.49 percent on Aug. 3, according to the HSBC/NASDAQ GCC Index. Bonds in the region that comply with Shariah law may extend gains after the International Monetary Fund said in a report on July 7 that gross domestic product growth in the Middle East will quicken to 4.5 percent this year from 2.4 percent in 2009. State-owned Dubai World said on July 22 it will complete a restructuring of its $23.5 billion of liabilities in “coming months,” while real-estate unit Nakheel PJSC said a group of creditors supported a proposal to alter the terms on $10.5 billion of loans and unpaid bills. A rally in the 6.25 percent dollar-denominated sukuk due 2017 issued by DP World Ltd., the world’s fourth-biggest container port operator, pushed the yield down 131 basis points since June 30 to 7.33 percent, according to data compiled by Bloomberg. The yield on the Dubai Department of Finance’s 6.396 percent sukuk due in November 2014 declined 56 basis points to 7.13 percent in the same period, prices from Royal Bank of Scotland Group Plc show. 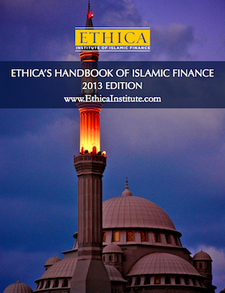 Transactions in the Islamic financial services industry are based on the exchange of asset flows rather than interest to comply with the religion’s principles. The majority of sukuk are of the Ijarah type, which are based on a sale and lease agreement as in real estate. Property prices in Dubai, the Persian Gulf’s financial hub, retreated more than 50 percent from their peak in 2008 as the global credit crisis led to a cut in mortgage lending and pushed companies to slow expansion, according to estimates from Colliers International. The GCC countries are Bahrain, Kuwait, Oman, Qatar, Saudi Arabia and the United Arab Emirates. “The rally in GCC sukuks has been impressive so far but stabilization of the real-estate sector, which is usually a big component of sukuk structures, is needed,” Ahmed Talhaoui, the head of portfolio management at Bahrain-based Royal Capital PJSC, which is 44 percent owned by United Gulf Bank BSC, an investment bank in Bahrain, wrote in an e-mail yesterday. 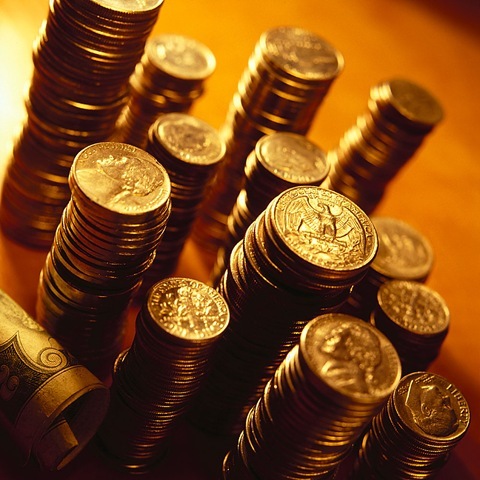 Global sales of sukuk dropped 28 percent to $7.85 billion so far in 2010, according to data compiled by Bloomberg. Persian Gulf issuers sold $2.5 billion, compared with $3.2 billion a year earlier. Islamic bonds sold by Middle Eastern borrowers have returned 9.4 percent this year, according to the HSBC/NASDAQ Dubai GCC US Dollar Sukuk Index. Shariah-compliant notes that include issues from the Persian Gulf to Southeast Asia and the U.S. gained 9.1 percent in the period, the HSBC/NASDAQ Dubai US Dollar Sukuk Index shows. Debt in developing markets increased 12 percent, JPMorgan Chase & Co.’s EMBI Global Diversified Index shows. The difference between the average yield for emerging- market sukuk and the London interbank offered rate widened five basis points yesterday to 401, the highest level in more than two weeks, according to HSBC/NASDAQ index. The spread has narrowed 66 basis points this year. Higher sukuk yields in the Persian Gulf relative to Asia make the bonds more attractive, according to Abu Dhabi Islamic Bank PJSC, the United Arab Emirates’ second-biggest Shariah- compliant lender. The yield on Malaysia’s $1.25 billion of 3.928 percent Islamic notes due 2015 sold in May dropped two basis points today to 2.84 percent and reached a record-low 2.82 percent on Aug. 11, RBS prices show. The rate has dropped 100 basis points since the notes were issued. “The return is likely to be higher in the GCC not because of their performance, but because it’s the only way to attract investors to this market,” Naeem Ishaque, senior manager of the international division at Abu Dhabi Islamic Bank, said in an interview yesterday. New issuers will have to offer higher returns, said Ishaque, whose bank had 68.3 billion dirhams ($18.6 billion) of assets in the second quarter.